Bottlenose Dolphins can sleep with half of their brain at a time so they can still come to the water's surface to breathe even as they sleep! They communicate with other dolphins by using sounds, clicks, and other noises, and they can live to be 40 to 50 years old in captivity. 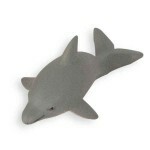 Print the Bottlenose Dolphin Character Card! Bottlenose Dolphins can swim up to 18 miles per hour. Bottlenose Dolphins can breach up to 16 feet in the air. 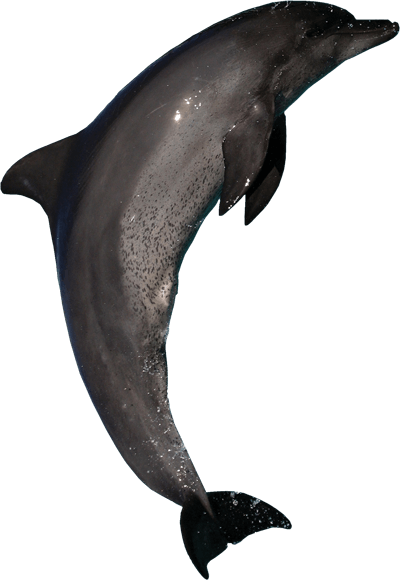 The famous TV Character "Flipper" was about a Bottlenose Dolphin.